Give mom a little piece of her kids to take with her wherever she goes by creating these hand print charms. 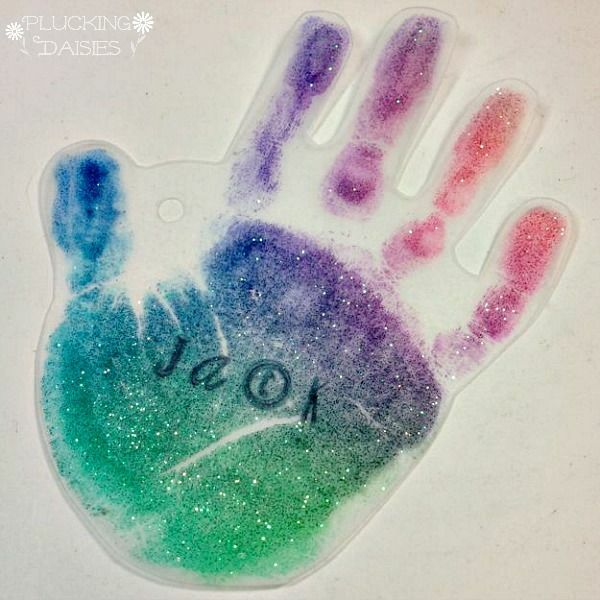 These charms feature the shape of a hand that can be filled in with any glitter, paints or other colorful materials you like. Add the name and give it to mom as a keychain.